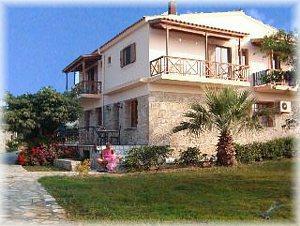 Apartments for 2 or 3 persons, in each case with own balcony. When desired with air conditioning system. 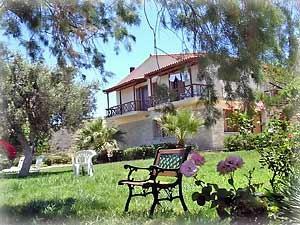 Both of us Irene and Antonis speak English and are always available to cover our guests needs. Wouldn’t you like to relax on your vacation in a place admiring the nature? 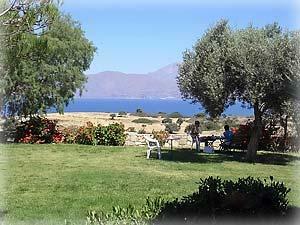 We have the perfect view with a combination of the Messara Sea and Psiloritis Mountains. We are also near to the archaelogical sites of Festos and Comos. We have a beautiful garden for all our guests to relax and enjoy. The nearby swimming pool can be used with a daily charge of Euro 2 per person. A bus stop is at 200 meters distance. It is advisable to order a taxi in advance by us so it will bring you directly in front of our house. (Travel time 1 hour).